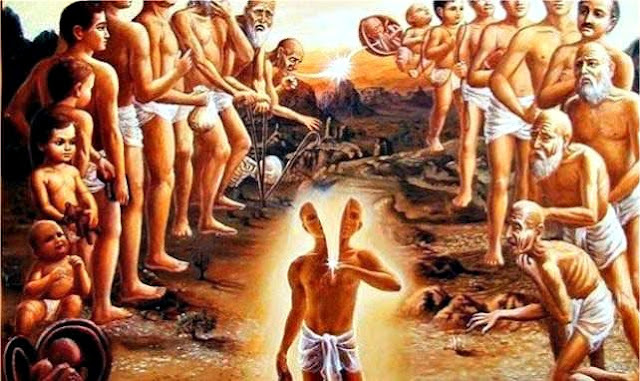 If there really is such a thing as reincarnation, then why don’t we remember our past lives? Actually, when you think about it, we don’t even remember much of this life let alone our past lives. The memories of this life and our past lives are all there under lock and key for our own protection. We do draw upon them, most often unconsciously, for the purpose of making correlations and comparisons as we progress along through life. And those past lives are definitely influencing us without us trying to recall them. Do you have your irrational fear of spiders? An almost instant dislike for a new co-worker? A love of all things Native American? Yes, as you sit there reading this, you are the sum total of everything you have always been. Awesome, huh? If you are interested, you can begin to unravel the mystery of your former lives. I suggest you do it in a measured fashion, keeping things in perspective, and returning from any sojourns into the past to live fully to the present. Here are some things to try. If you were raised in a belief system where reincarnation was categorically denied, you need to come to terms with that. Your mind is going to block any attempts of getting to the past because you’ve been programmed to believe that there is no past. Several years back, a group of my friends were sitting around talking as friends do. We got on the subject of Michelangelo. One man in the group began to talk about how much he hated the Renaissance period. I mean to say that he really got into it. Not being much of a history fan, I sort of drifted away in my thoughts but kept my eyes turned in his direction so I wouldn’t appear rude. Suddenly, I saw a hat from that period appear on his head. I looked away and looked back again. This time, his attire had changed completely into that of someone from the period. I would bet that he lived at that time, and for whatever reason, hated every minute of it. Okay, here comes my second warning: You have no business prying into the lives of other people. In the case of my Renaissance friend, I wasn’t looking to learn about his past lives, I just happen to see what he was projecting. Sometimes that happens. Use discrimination as to whether to talk about what you see. You’ll probably need to learn to look and see in a different way than you normally do. For example, pull a chair up (this make take some time) and look in a mirror at your own image. Oblique looking (sidelong looking through a bit of a squint) brings the best results, at least it has for me. What you see at first may not rate high on the whoopee scale, but it will add to your overall collection of information about your past. It’s information that may offer explanations as to why you are the way you are and help you to live a more spiritually productive life this time around. Get out your notebook and a pen. Start making lists of all the things you love (like) and hate (dislike): people, places, periods of history, foods, sense memories (e.g. I hate being cold), styles of clothing and on and on. Look over the list and see if you can connect some dots. You dislike the architecture of Russia, you hate being cold, you really hated a movie you saw about Nicolas II… I think you are getting the point. This is one of the easiest things you can do. Before you go to sleep at night, ask to see glimpses of your past lives. Keep your notebook close at hand to scribble down anything that you may see in your dreams. It may take a few nights to prime the pump, but it will happen if you don’t flag in your attention to it each evening before sleep. This may be a good place to issue a warning: Watch out for the famous person syndrome. The ego loves to crow when we uncover a past life of fame and fortune. Let’s say you awaken in the morning after a dream of Napoleon Bonaparte with a sense of self-satisfaction. Imagine you—Napoleon! (Like being Napoleon was a great thing.) The truth? Some higher presence or your higher self may have been using Napoleon, an archetypal image or symbol, as a way of telling you to knock off the Napoleonic behavior at work. Past life investigation is like being on a reconnaissance mission. You go in, gather useful information and then you get back out. Whether you were a king or a pauper is not the point—it’s all about what you learned from the experience and how it applies to your present lifetime. You get pregnant, or your spouse gets pregnant, and suddenly you see pregnant women everywhere you look. You get a catalog from an upscale store—gee, you never realized they sold baby clothes. You see a woman in a bakery with a crying baby—what use to annoy you is now so cute. You wonder why there are so many pregnant women and babies. There have always been pregnant women and babies, you just happen to have your attention on them now that you’re expecting. Using this principle, put the concept of reincarnation at the forefront of your mind. Get some books on it, google the subject on the internet, have some conversations with your friends about it. Then watch. All sorts of information, insights, and recalls will begin to surface. Life responds to whatever you are putting your attention on. Then, you just have to connect the dots. Use a notebook to record all the bits and pieces that you begin to uncover about reincarnation and your past lives. Here’s an example: Helped my son with a project about Mt Vesuvius before dinner and that very same night I saw a made for TV documentary on the destruction of Pompeii. What a coincidence… especially in light of the fact that I have no love for volcanoes. Brought up a memory of seeing a mummified corpse from Pompeii in a museum when I was a child. Ugh! If I saw that in my notebook, I would begin to explore my suspicions that I might have been there when Mt. Vesuvius blew its top. How do you go about exploring it? Do research on Pompeii. Think on it some. Watch for other signs. Write questions in your notebook about how that lifetime has influenced you this lifetime and see what answers begin to appear. Ask other questions. Yes, the bottom line in all of this, as far as I’m concerned, is to live consciously, resolve our debts, and grow spiritually in the here and now. It’s all about the here and now, my friend, all about the here and now.